Vancouver is going to shine brighter than ever for the 25th anniversary of the Honda Celebration of Light fireworks festival set for Saturday July 25, Wednesday July 29 and Saturday August 1. 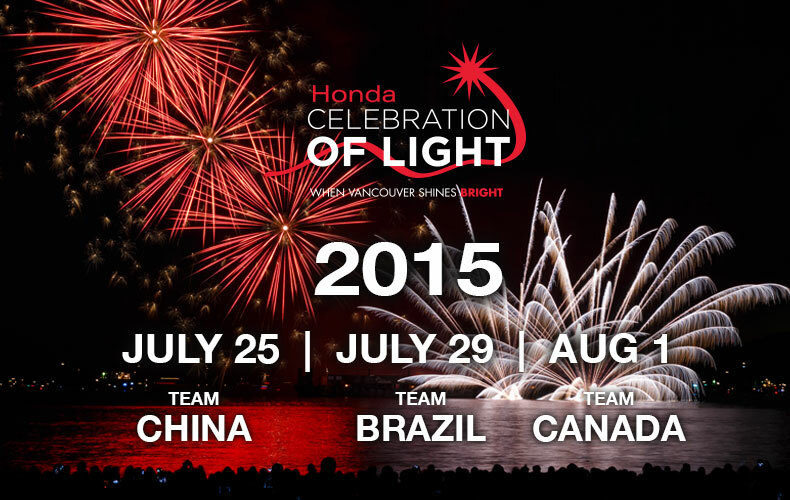 The Honda Celebration of Light kicks off Saturday, July 25th with the return of Team China  the modern birthplace of fireworks. We are pleased to welcome Team Brazil on Wednesday, July 29th – with Rio 2016 just around the corner, we expect quite a show. Rounding out the event is repeat winner and home favourite, Team Canada on August 1st. New for the 25th Anniversary  Building on the success of The Keg Lounge and the YVR Observation Deck, the festival is launching the new, licensed, Inukshuk Lounge. Located on the peninsula at English Bay, the Inukshuk Lounge offers a quieter hosting experience for discerning guests. Also new is the Sunset Beach Bistro, a family- friendly, licensed area in Sunset Beach Park  no tickets required! The Sunset Beach Bistro will bring back the ever-popular Salmon BBQ to the park and will offer a front row view of the SHOREFEST stage entertainment. Honda Celebration of Light is pleased to announce that Stanley Park Brewery will be the official beer partner of the event offering Stanley Park beer, Okanagan Spring cider and Mark Anthony wines in the Sunset Beach Bistro, Inukshuk Lounge and YVR Observation Deck.